There have been a number of skull watches introduced recently. 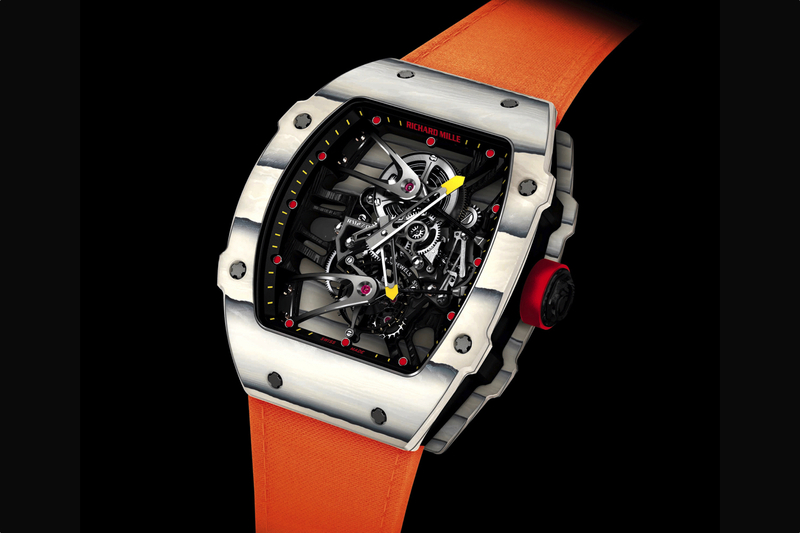 The Richard Mille Tourbillon RM 052 Skull watch, introduced at SIHH 2012, is the most complicated to date. The four bridges that connect the movement to the case, and act as the dial, are arranged in a “skull-and-crossbones” pattern inspired by flags from pirate ships. The upper and lower “jaws” hold the ruby of the tourbillon cage, and the back of the skull is also the movement’s center bridge. Functions includes hours minutes and tourbillon seconds. 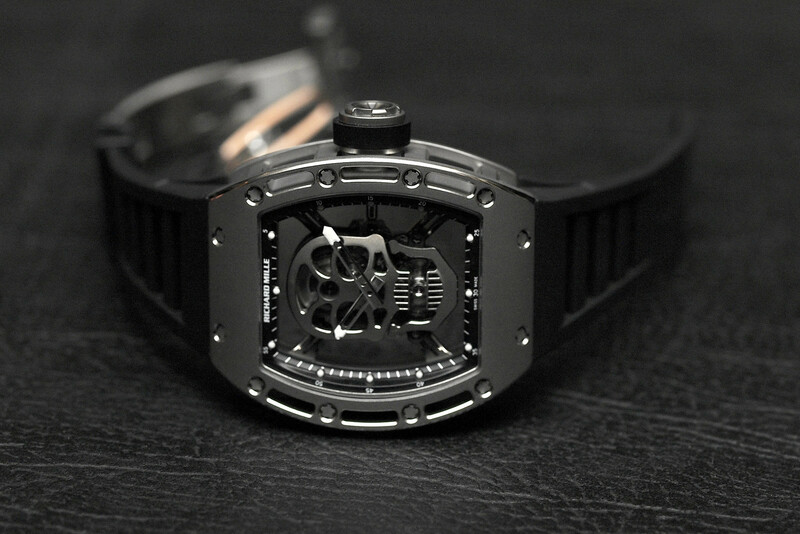 Skeletonized hour and minute hands. Luminous treatment on hour hand, minute hand and indexes. 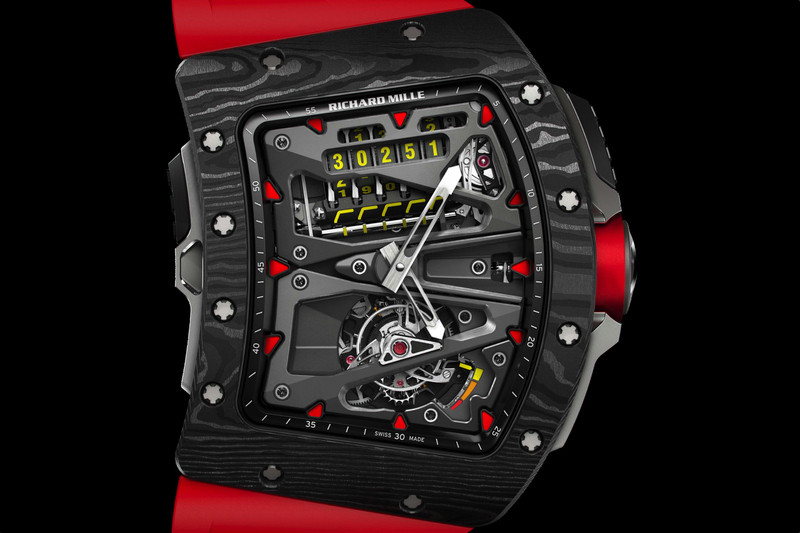 Richard Mille caliber RM 052 is a manually wound tourbillon with 19 jewels, a Glucydur balance wheel with four setting screws, 21,600 vph (3Hz), Elinvar by Nivarox balance spring and Kif Elastor KE shock protection and power reserve 48-hour power reserve. Finishing includes micro-blasted milled sections, hand bevelled surfaces and drawn or polished outer faces. The tripartite tonneau titanium case, assembled with 20 spline screws in grade 5 titanium, measures 42.7 mm x 50 mm. The upper flange is in carbon, the lower flange is in grade 5 titanium with DLC coating. Sapphire crystal front and back with anti-glare coating. The tripartite case requires 255 machining steps, including 86 stamping operations. The case uses spline screws in titanium for greater torque control, and has a torque-limiting crown, an additional security feature to prevent accidental overwinding. Water-resistance to 50 meters ensured by two O-ring seals. Black rubber strap. 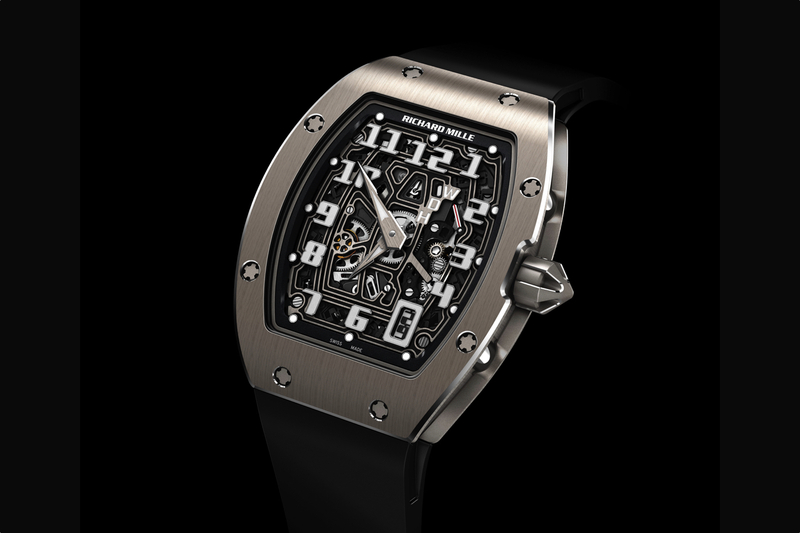 Available in a limited edition of 21 pieces, consisting of 15 pieces in titanium and 6 unique set pieces in red or white gold. Retail price is $500,000.